The Kenda Regolith Pro is happiest on all-around all-day rides. There was a time when Kenda was the Toyota of the mountain bike tire universe, offering category leaders for every type of terrain, condition and rider. 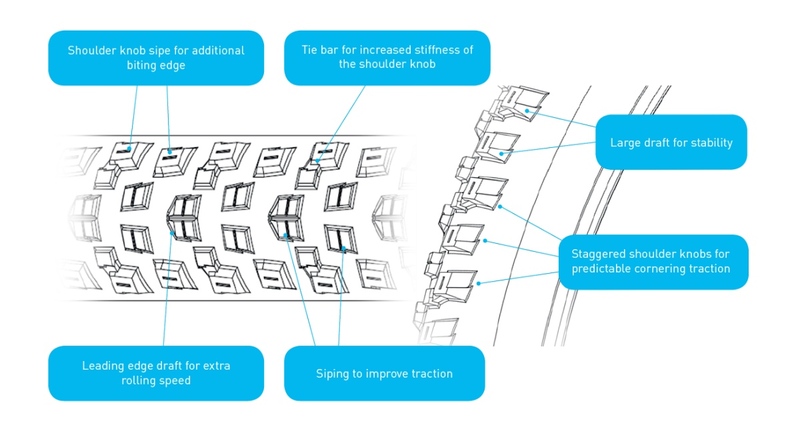 Its flagship Nevegal pioneered advances in tread pattern, compounds, and grippiness that made it the no-brainer standard for all-around mountain bike tires. But as trails got more technical and bikes more capable, the Nevegal ebbed in favor. Its jack of all trades came to be seen as master of none. Competitors like Schwalbe took over in lightweight all-around categories while Maxxis excelled in durability, traction and gnar. Today, Kenda continues to offer a wide range of gravity-to-XC mountain bike tires, including the iconic Nevegal in an updated format. But it’s looking to a new tire, the Regolith Pro, to help get it back on the podium of industry pacesetters. The new dual tread compound has a fast rolling center compound and good gripping shoulder compound. 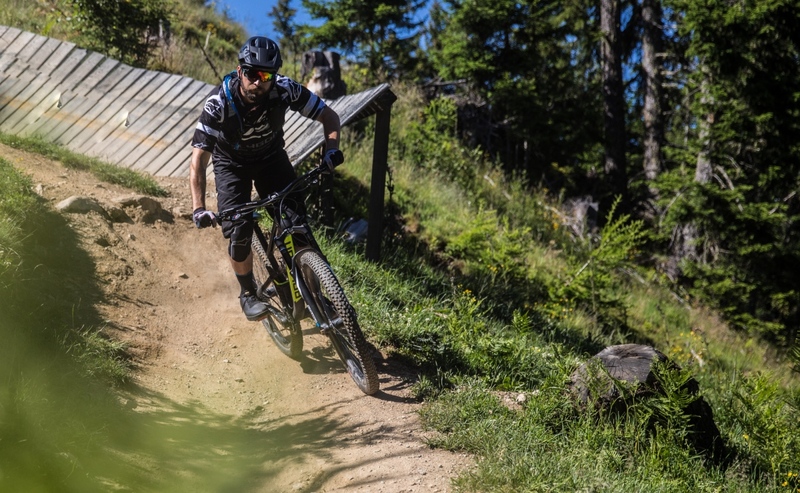 The Kenda Regolith Pro comes in three casings, the light and fast TR for race and XC, the SCT with sidewall protection for trail, and the burly EMC (electric mountain casing) for e-bikes. The EMC, which is tougher, heavier, and stouter, meets European certification for e-bikes. The U.S. doesn’t yet have a counterpart standard, meaning that most mountain bike tires don’t address the additional weight and performance needs of e-bikes. But Kenda will be ready if and when certification comes stateside. 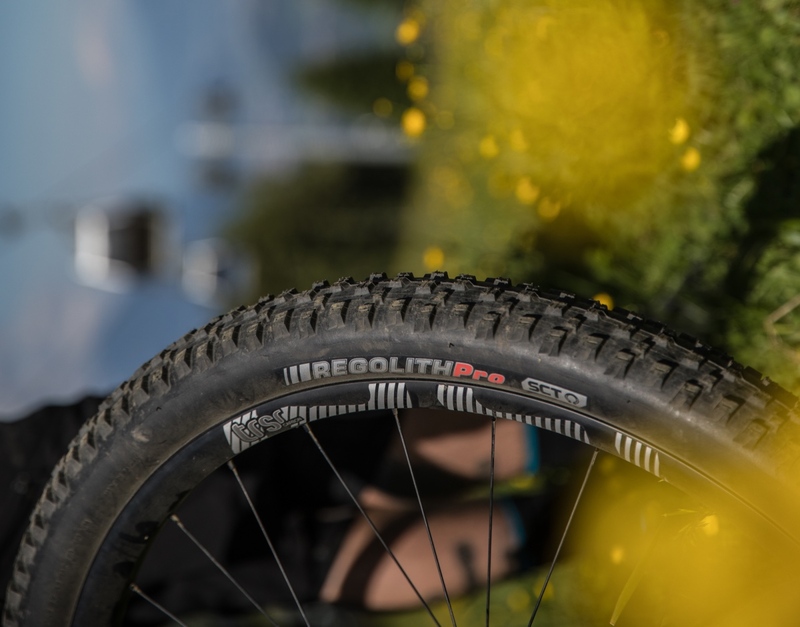 The Regolith Pro’s one-tire, three-flavor approach is meant to keep things simple. Kenda believes only a human spreadsheet could master all the tread patterns, TPIs, durometers, sidewall reinforcements, and other specs. Throughout its line, Kenda is maintaining consistent casing designations for ease of choice. The Kenda Regolith Pro’s unique tread pattern strikes a balance between speed and traction with arrowed center and reinforced side knobs. Regolith Pro widths range from 2.2 to 2.6 in both 27.5 and 29er wheel sizes (a 2.8 also is planned for 27.5). Weights start at a svelte 650 grams and stay comparatively light throughout the range. Pricing will emphasize affordability — from $70 to $75 for XC, and $75 to $80 for gravity. 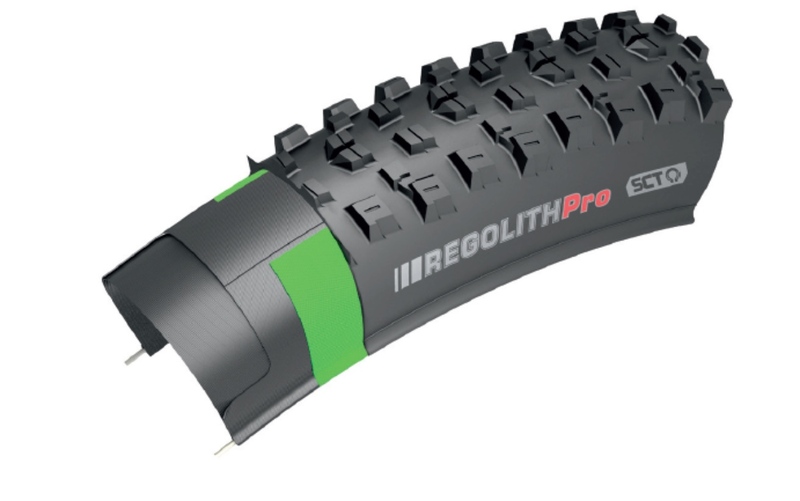 So what does Regolith Pro bring to the mountain bike tire party? The dual compound is hard and fast rolling down the middle and sticky and pliant on the shoulders — no surprises there. But the tread offers some clever tweaks. Middle knobs feature siping and arrowed patterns for fast rolling, but where Regolith Pro departs from the usual is in the side knobs. Yes they’re sticky and springy, but they also feature raised shoulder knobs with siping and a clever tie-bar matrix for stiffness and stability. The aim is to firm up cornering, keeping the knobs compliant for traction but strong enough to prevent folding over under pressure on the berms. The tie bar connecting the shoulder knob and transition knob improves transition knob and shoulder knobs stiffness, which is important because Kenda is using a very soft compound on the most outward shoulder knob. To learn more about the new Kenda Regolith Pro head to bicycle.kendatire.com. I still have fond memories of DTC tires. Paul, is there a review in mtbr.com’s future?